wow this thread has turned into a big discussion. Has anyone done anything cool with their tailights? I saw the one pic with the led's, anything else? I tinted them but went way overboard with the tints, and sanded them. Before I tint them again, any new suggestions? Also, has anyone put one of those tailgate light strips on their truck? How do you like it? 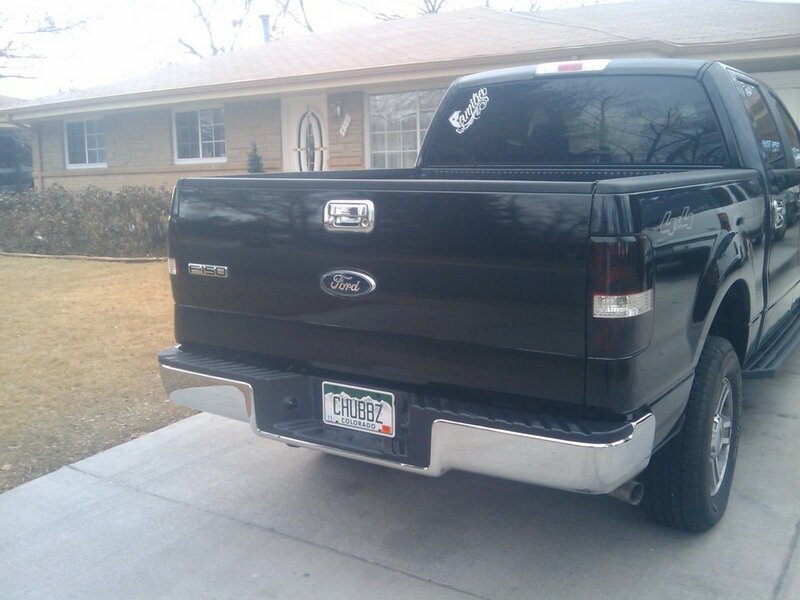 these are the tail lights im running. they look bad *** against my red paint. if youre going to black out your headlights, you ever thought about tinting the tailights? where in colorado are you? i used to live in Grand junction. id like to paint the black to red on my heads to match the candy red on my tails when i do the HID kit. lol i was gonna say i have seen that tag n truck before.